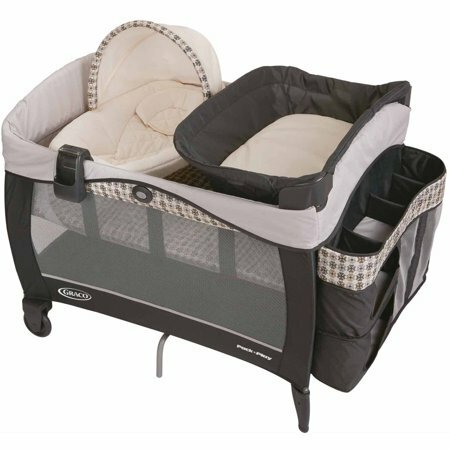 Walmart has the price of the Graco Pack 'n Play Playard with Cuddle Cove Baby Seat rolled back to just $119 (regularly $176.33). Graco's Pack n' Play Playard with Cuddle Cove Removable Seat features a soft, cozy little nest to help you keep your baby cozy, relaxed and close to you. Diaper changes are easier, too, with the convenient changing table and parent organizer to keep all of baby's necessities close at hand.